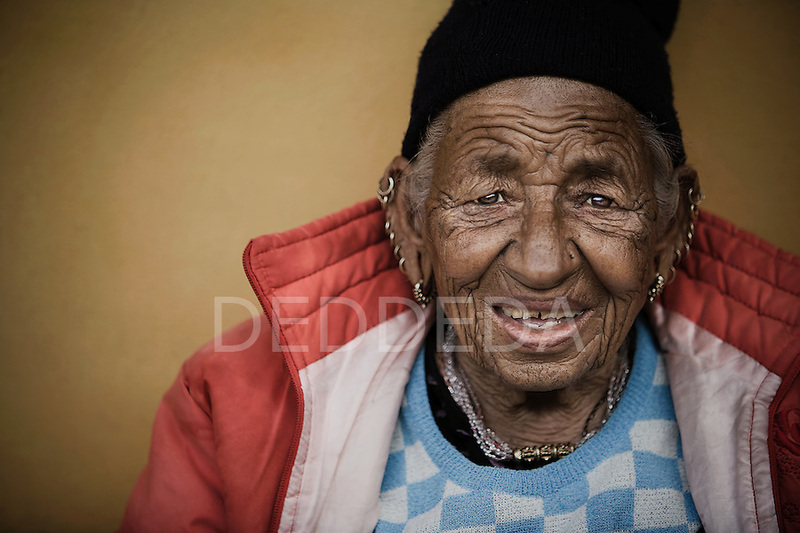 An elderly woman at an "Aged Shelter" in Pokhara, Nepal. The "Aged Shelter" is a place for seniors to live, when they have no other family members to look after them. The shelter has no running water, cooking is done over a fire, and there are no nurses or doctors available.